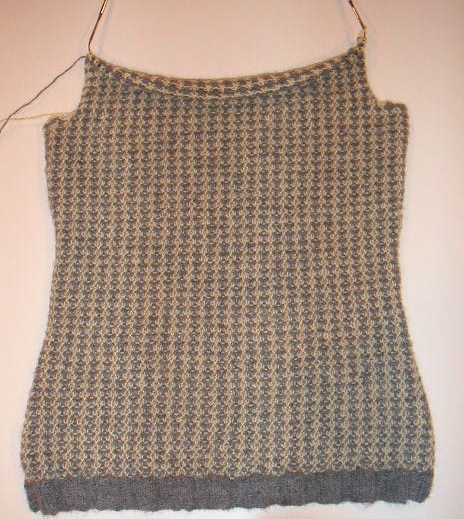 Last night I managed to bind off for the armholes, so I'm that much closer to being done with the back. It must be the fine gauge of the yarn and the switching between two colors that's making this project go at such a slow pace. I do like how it's turning out though.